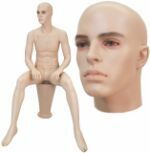 Male mannequin, headless, made of fiberglass. Pedestal is not included. 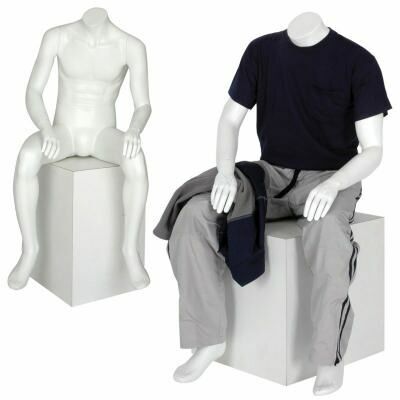 Detachable arms, hands and torso make them easy to dress. Color: matte white. Hip - 33.5", Shoe - 10.5"